Everyone knows that in June 1962, Rachel Carson published a series of articles that became Silent Spring, the eloquent book that launched the American environmental movement. But far fewer know that in the same month a second American author also raised the alarm about the threats posed not only by the growing use of chemicals, but also by a wide range of environmental ills emerging in those years. Industrialized agriculture, with its broad use of chemicals, constituted a threat to human health, argued Murray Bookchin (1921-2006) in his first book, Our Synthetic Environment (published by Knopf in June 1962, under the pseudonym Lewis Herber). Crops grown in monocultures were vulnerable to infestations, requiring pesticides; and pesticides like DDT were linked to degenerative diseases, even cancer. Meanwhile cities too were becoming toxic. Pollution was choking the air and waterways. City dwellers, toiling in a deadening monoculture of uniform glass-towered offices, were subject to high levels of stress, deprived of fresh air and sunlight, their walkable streets displaced by the soot-spewing automobile. And finally, nuclear power posed the unprecedented threat of radiation. 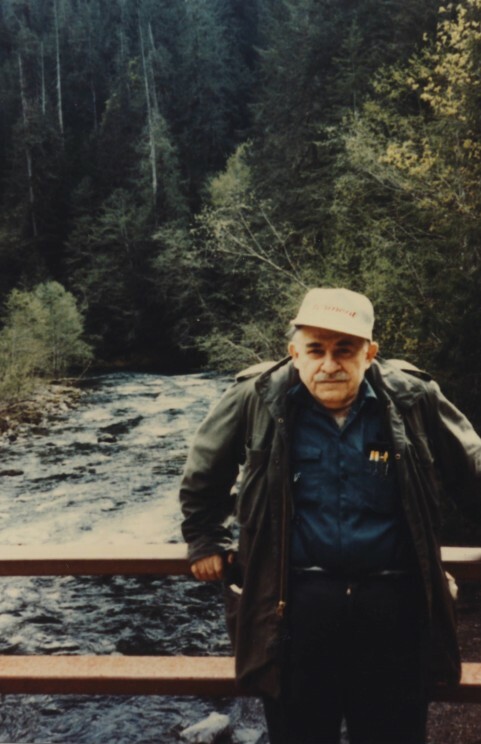 Image Credit: Murray Bookchin poses in 1988 in the Pacific Northwest by Janet Biehl. Used with author’s permission. His specific predictions were remarkably accurate, except for the long-range time frame. Rising atmospheric temperatures: check. Violent air circulation: check. Increasingly destructive storms: check. Melting polar ice caps: check. Inundation of the continents with seawater: coming. He dared to say in the mid-1960s what many today are acknowledging: that the root cause of climate change is capitalism, a system that compels firms to lay waste our common home in order to survive. The incipient greenhouse effect “is symbolic of the long-range catastrophic effects of our irrational civilization on the balance of nature.” To preserve the viability of the biosphere, he argued, we must rethink our economic system and create a “moral economy,” one that places the common good ahead of the unshackled profit motive, within the boundaries of the natural world. For the rest of the twentieth century, he would profound his visions of a decentralized, humane, cooperative ecological society: in the 1960s to the New Left; in the 1970s to the antinuclear movement; in the 1980s to the Green movement; and in the 1990s to radicals dislocated by the fall of the Soviet Union. He was a genuine original, a prescient thinker who worked out solutions to problems before most people realized they existed. His message has only become more relevant today. Feature Image credit: New York City pollution in 1967 by John Atherton. CC BY-SA 2.0 via Flickr. Janet Biehl was Murray Bookchin's copyeditor for the last two decades of his professional life, and collaborated with him on both books and articles. She works as a freelance copyeditor for Viking Penguin, Alfred A. Knopf, Pantheon, Crown, Doubleday, and many other publishing houses. 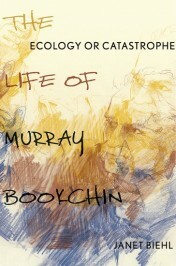 She is also the author of Ecology or Catastrophe: The Life of Murray Bookchin.